Probably not the best decision. 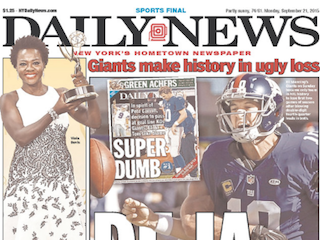 Now that some of the dust has settled from the New York Daily News’ latest round of layoffs, its CEO Bill Holiber wants everyone to know that the print product will remain intact. Holiber was bluntly taking on the growing chatter that the Daily News will reduce its publishing frequency. Claiming no change is quite a bold assertion by Holiber, considering the paper loses about $30 million a year. One could argue that the right time to shift to an all-digital operation was about a decade ago.